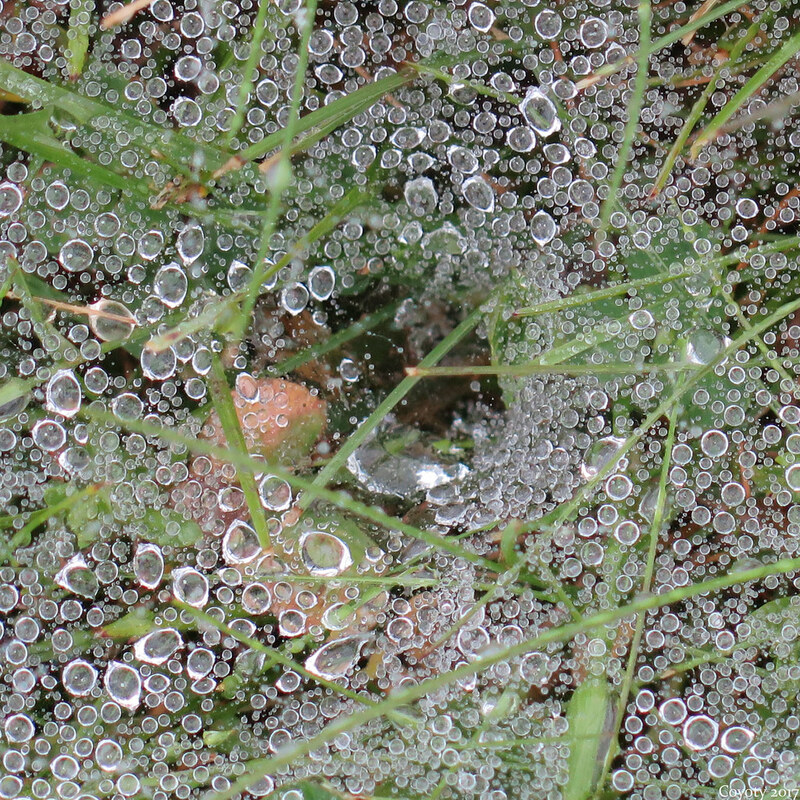 Rain-soaked funnel web on the lawn of Tunxis Community College in Farmington, CT. The tunnel can be seen in the center. 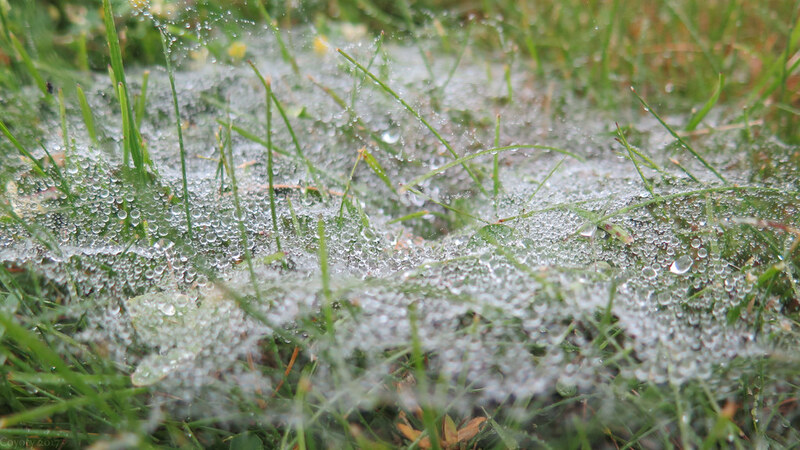 I think this is probably the web of a grass spider, like the one that visited my office last November, or maybe a wolf spider. A closer view of the tunnel. The silk is so fine that it's invisible and it looks like the droplets are levitating. Any prey will probably not see it in good weather, and the spider will jump out and grab it as soon as the web is disturbed. The silk also seems to create a screen effect that sharpens the edges in the photo and intensifies the contrasts.